Iran’s Islamic Revolutionary Courts went up in the very first days after the victory of the Iranian Revolution. These courts still exist nearing 40 years on but were oriented initially like many revolutionary tribunals towards clearing out hated servants of the old regime. And like many revolutionary tribunals they developed a reputation for delivering justice more swift than measured — with one-sitting procedures where defendants faced hectoring judges and surprise charges without benefit of that “Western absurdity,” a defense counsel. For the Ayatollah Khomeini, revolutionary courts weren’t a probative exercise but a vehicle for delivering popular justice. “If the revolutionary courts did not prosecute them, the people would have gone on a rampage and killed them all,” he said of the courts’ targets. This sentiment was echoed almost word for word by a spectator in this case, who (according to an April 13, 1979 New York Times profile) shouted at the judges during an adjournment that “if the court forgives him, the people won’t and will get him!” The major’s courtroom was packed with 200-plus spectators, many of whom could show the scars that the Shah’s torturers had left them. 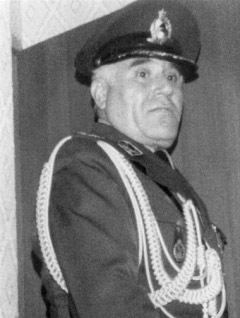 A parade of witnesses described the torments of the Shah’s prison; Major Yahyahi’s rank at the facility was enough to condemn him for command responsibility, even absent witnesses who could link him personally this or that thrashing. “It is not the individual who is on trial,” the mullah-judge presiding explained, repeatedly. “It is the regime.” The toppled regime, after all, had been convicted already. 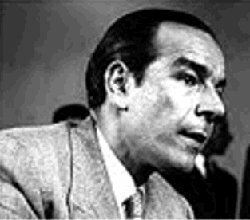 Major Yahyahi’s trial (together with four others) consumed the court’s business on April the 12th. By that night Yahyahi was condemned to death; he was executed by firing squad the very next day, only one of ten people put to death around Iran on April 13, 1979. 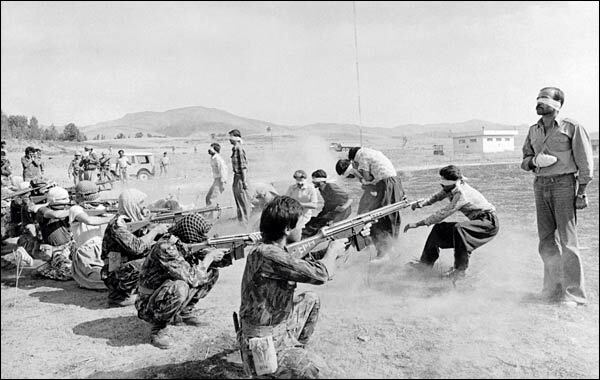 On this date in 1984, the Islamic Republic of Iran completed its destruction of the Tudeh party with ten executions. In the 1940s, the Tudeh was Iran’s largest mass party and a fair bet to take power in the near future but state repression after Mossadegh was overthrown in 1953 had largely driven the Communist movement to the skulking margins. Its fragments hung on underground, preparing and organizing for the proletarian revolution — an orientation that would leave the Tudeh entirely unprepared for the Iranian Revolution that really occurred. In fairness, few from Tehran to Moscow to Washington could read those tea leaves: who in the winter of the Cold War anticipated a great regional prize like Iran being captured by … the mullahs? The Revolution released the once-banned party onto terra incognita as a minor outlet for leftward sentiment and perhaps a show of democratic good faith. But from the start it awkwardly existed on sufferance of an entirely incompatible regime. The venerable English journalist Robert Fisk, who covered the Iranian Revolution, filed a wry dispatch for the Times (Nov. 26, 1979) from the Tehran offices of Tudeh leader Nouredin Kianouri — unconvincingly trying to position his own movement within the events sweeping everyone along. 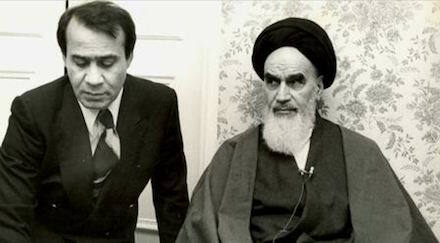 Tudeh is involved in “the radical struggle against imperialism”, and “the struggle for the reorganization of social life, especially for the oppressed strata of society” … and in so far as it is possible, Tudeh — Iran’s oldest political party — stands for the same things as Ayatollah Khomeini. That, at least, is the theory: and Mr Kianouri holds to it bravely. Tudeh demands a “popular front” government in Iran and Mr Kianouri professes to see little difference between this and Ayatollah Khomeini’s desire for national unity. “Popular Front”, however, is not an expression that has ever crossed the Imam’s lips and it is difficult to see how Iran’s new fundamentalist religious administration could form any cohesion with the materialist aims of Mr Kianouri’s scientific Marxism. Those arrests culminated in a large show trial of 101 Tudeh principals in December 1983-January 1984, followed by smaller trials of lesser Tudeh figures in several cities over the months to come. 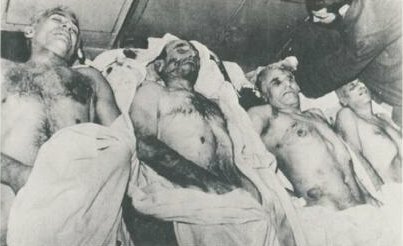 Eighty-seven Tudeh officials caught prison sentences ranging from eight months to life; these “lucky” ones, along with hundreds of other Tudeh adherents arrested in the years to come, would later be well-represented among the victims of Iran’s 1988 slaughter of political prisoners. That left ten† reserved for execution on February 25 on charges compassing espionage, treason, and the weapons they had once naively stockpiled to fight against a monarchist coup. Notable among them were four high-ranking military officers: Col. Houshang Attarian, Col. Bezhan Kabiri, Col. Hassan Azarfar, and the chief catch, former Navy Commander Admiral Bahram Afzali. Formally banned in Iran, the Tudeh party does still exists to this day, an exile shadow of its former glory. ** Iran at this moment was two years deep into its war with Saddam Hussein‘s Iraq, having in 1982 stalled out with a bloody and ineffectual offensive. Other background of note: a different, Maoist party had in early 1982 launched a failed rising against the Islamic Republic. Iranian Revolution firing squads claimed seven lives on this date in 1979, including two multimillionaire businessmen. The other businessman was the Jewish-Iranian plastics mogul Habib Elghanian. Elghanian was the first Jewish person executed during the Iranian Revolution. 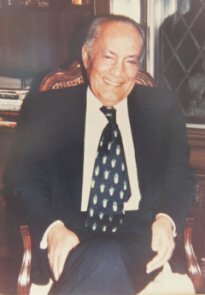 His death on charges of spying for Israel, fundraising for Israel, and “friendship with the enemies of God” for having met with Israeli politicians, greatly alarmed Iran’s Jewish community: many fled the country, something Elghanian had pointedly refused to contemplate. Though Elghanian allegedly claimed not to be a Zionist, he had investments and contacts in Israel — and a radio denunciation made clear to what extent such an association would be anathematized going forward. Weirdly, this execution has made news more recently: the Stuxnet computer worm, which is widely thought to have been engineered in Israel to attack Iran, contains the string 19790509. It’s been hypothesized that this apparent reference to May 9, 1979 might allude to Elghanian’s execution. 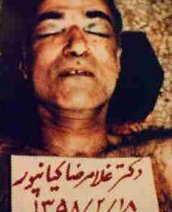 * Alleged clientele: the already-executed Gen. Nematollah Nassiri.